What is Anaphase Shampoo used for? Anaphase Shampoo has a patented combination of Nicotinate Tocopherol and GP4G unique to this shampoo. Nicotinate Tocopherol and GP4G help to stimulate microcirculation in the scalp and bring the energizing elements that are needed to energize to the hair bulb cells enhancing their metabolism. Users of Anaphase report improved hair strength, volume and vigor. How should I use Anaphase Shampoo? Anaphase Shampoo can be used along with other hairloss treatments for even better results. Apply other hairloss treatment to rinsed and towel-dried hair, and then dry and brush your hair as usual. 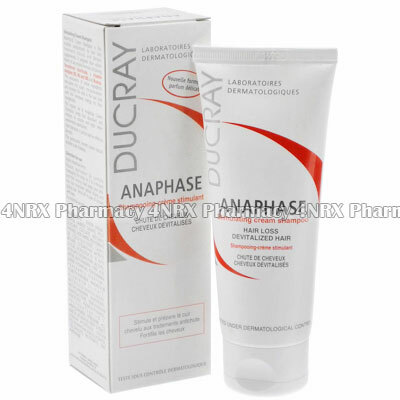 Anaphase Shampoo is a topical treatment for external use only.